Outsourcing or Doing It Yourself? Answers to the most frequently asked questions, including a calculation tool! 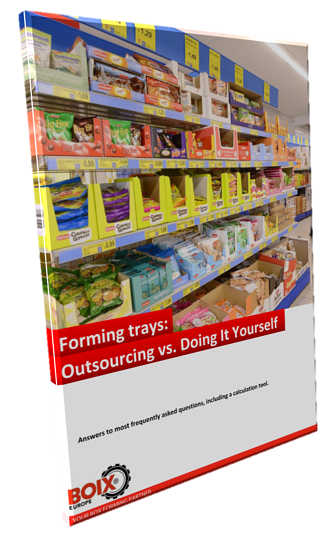 Forming trays: Outsourcing or Doing It Yourself? How to take a final well informed decision about purchasing trays from third parties or doing it yourself with your own tray forming machine? And which factors play a role? From which amount of trays is it profitable to form trays by yourself? What are the annual savings if we purchase a tray forming machine? What is the payback period of the machine? 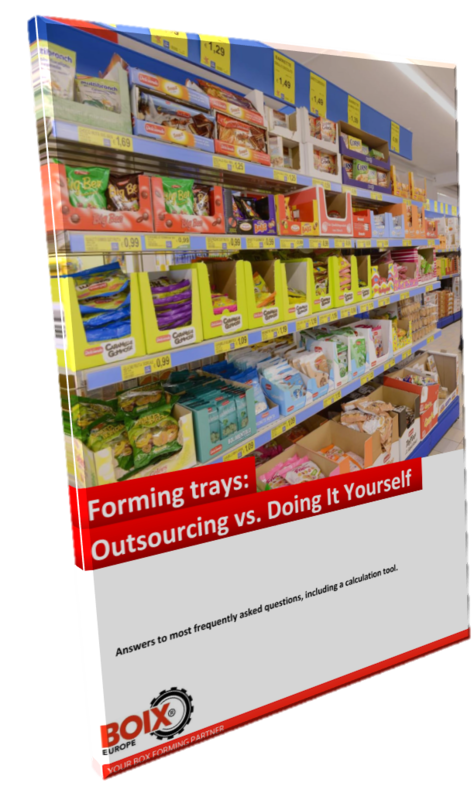 Forming trays: Outsourcing or DIY?